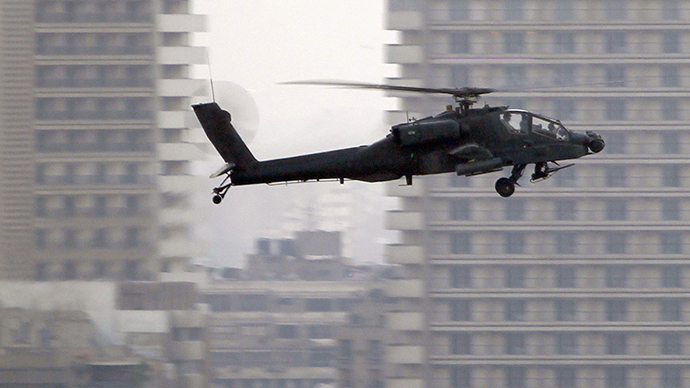 The United States pledged 10 Apache helicopters to Egypt on Tuesday, easing back for the first time on sanctions placed against the country last year following the ousting of President Mohamed Morsi. Delivery of the choppers is intended to aid in counterterrorism operations, the Pentagon said in a statement Wednesday, but comes only months after the US first suspended military aid to Egypt after the country’s interim government began harshly cracking down on dissidents and protesters. 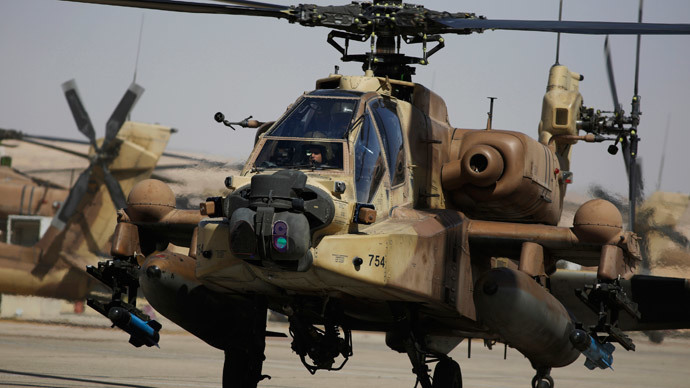 "We believe these new helicopters will help the Egyptian government counter extremists who threaten US, Egyptian and Israeli security," Pentagon spokesman Rear Admiral John Kirby said. According to the statement released by the US military on Wednesday, Defense Secretary Chuck Hagel told his Egyptian counterpart, Col. Den. 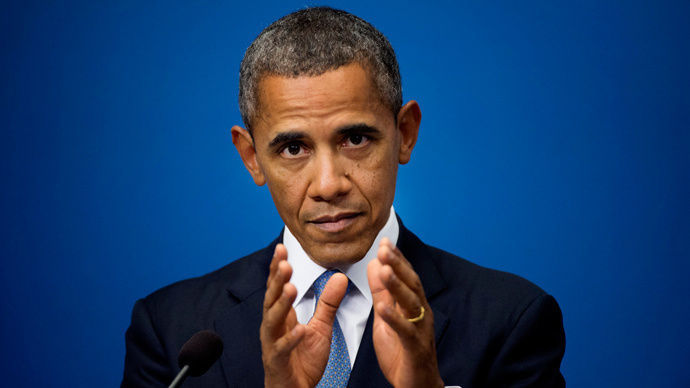 Sedki Soby, that US President Barack Obama has authorized the decision to deliver the helicopters. Next, the Pentagon said, US Secretary of State John Kerry “soon will certify to Congress that Egypt is sustaining the strategic relationship with the United States and is meeting its obligations under the 1979 Egypt-Israel Peace Treaty.” That deal between America’s top Middle East ally on Egypt has for decades allowed Cairo to stand as one of the largest recipients of US military and economic aid. Nevertheless, the Pentagon said that American officials have yet to be assured that Egypt is on a US-favored path so soon after last year’s uprising. 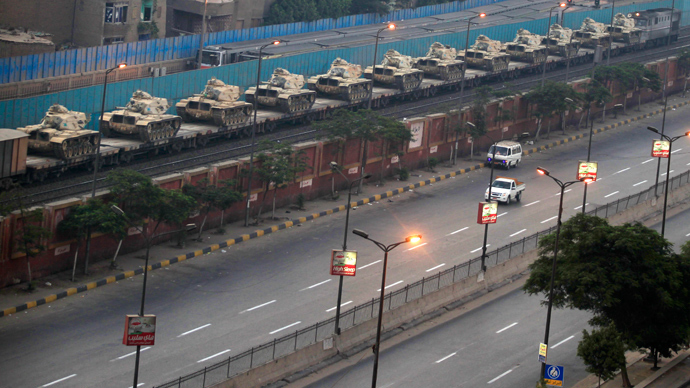 Military aid to Egypt was suspended by the US last year after Pres. Morsi was ousted during a coup d'état led by Egyptian army chief General Abdel Fattah Al-Sisi, setting in motion the second government overthrow there in a span of just two years. Adly Mansour was installed as Egypt’s interim president last July after the removal of Morsi, and Al-Sisi is expected to win presidential elections scheduled there next month. In a phone call this week with his Cairo-based counterpart, Sec. Kerry “urged Egypt to follow through on its commitment to transition to democracy - including by conducting free, fair and transparent elections,” State Dept. spokesperson Jen Psaki said. 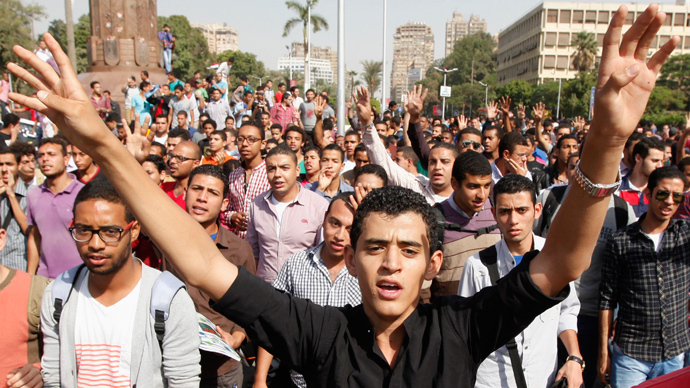 The Guardian newspaper reported earlier this month that, according to government statistics, 16,000 dissidents have been arrested in Egypt since last July. Alleged terrorist operations have stayed rampant as well, however, and on Wednesday this week a senior Egyptian security official was killed by a car bomb placed by militants, according to local media reports cited by the Los Angeles Times. 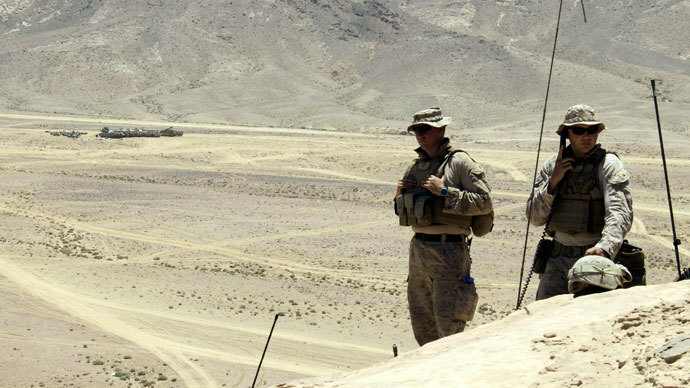 US Rep. Kay Granger (R-Texas), the chairwoman of the House Appropriations subcommittee overseeing foreign aid, said in a statement of her own published on Tuesday that she favored the Obama administration’s decision to deliver the Apaches to Egypt. But the chairman of the Senate Appropriations subcommittee that oversees foreign aid, Sen. Patrick Leahy (D-Vermont), has previously insisted that the US should suspend all aid once a military coup occurs. Late last month, the Human Rights Watch humanitarian group wrote in a letter to Sec. Kerry that Egypt has failed to progress whatsoever with regards to improving democracy in the wake of the last two uprisings.